and this month promises to be the same . . . I am still working away decorating the hall, stairs and landing of my house. There does seem an awful lot of wall, but I’m getting there. The walls are in Farrow & Ball’s Dorset Cream, and the woodwork will partly be in F&B’s Sudbury Yellow, and partly, I think, Wimborne White. I’ll share a photo when it’s done! 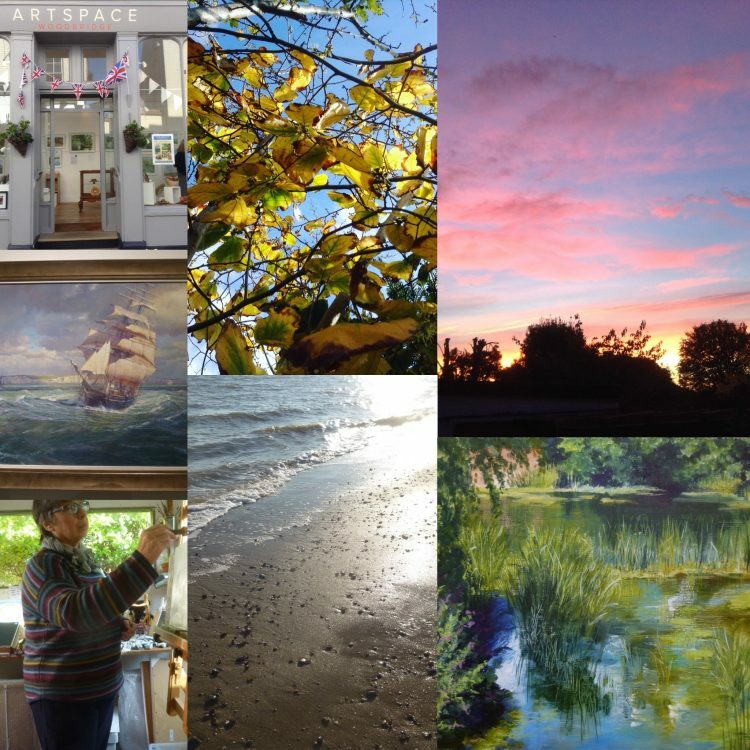 In my Studio: I’ve made a start on Bures: Early Autumn, the next painting in my River Stour project. And I’ve also been mulling over a completely new way of making paintings of some of the ancient stones and landmarks in Wiltshire. I am planning a series of little paintings 30cm square. 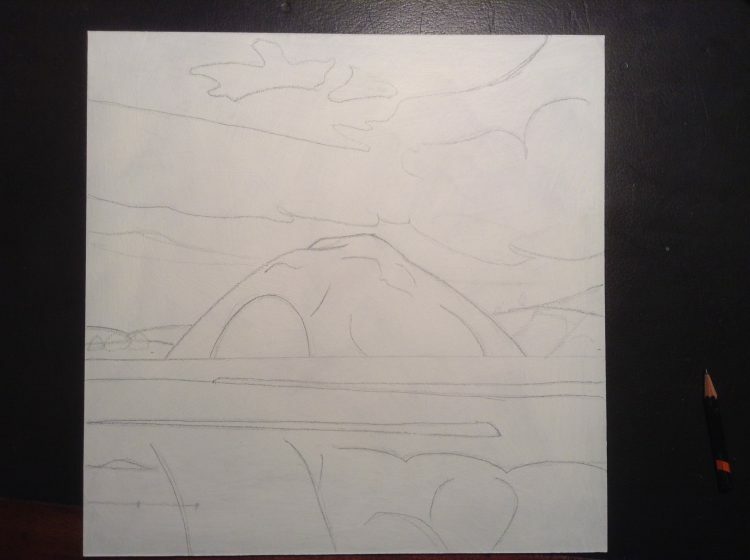 This is the drawing of what will become Silbury Hill. It doesn’t look very exciting yet, does it? 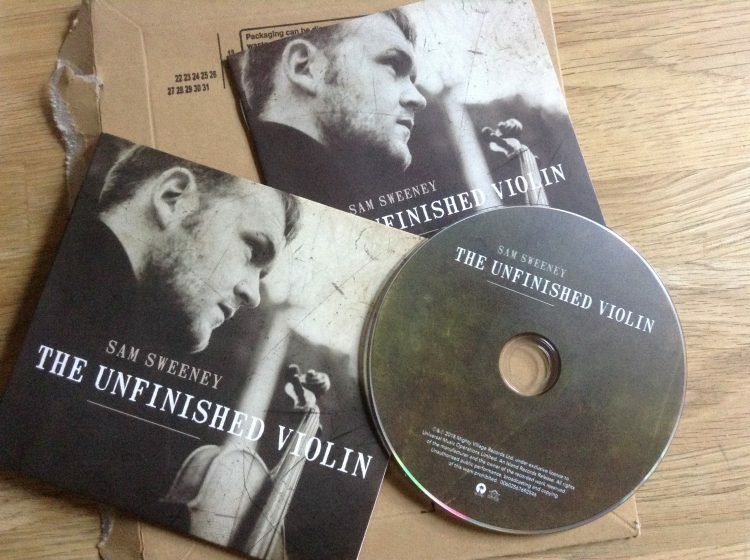 – but I have plans for it . . . .
A little plug for a magical CD I’ve just got – Sam Sweeney’s ‘The Unfinished Violin’. In 2014 Graham and I went to his show Made in the Great War at Colchester Arts Centre when he and his fellow performers were doing their first tour of it round the country. Hugh Lupton, a long time friend of mine, was doing the story telling and there were other instrumentalists/singers involved too. It told the story of a violin, carved but not made up, by Richard Howard, which was left unfinished in his workshop in Leeds when he was called up in 1915. He was killed at the Battle of Messines in June 1917. The pieces of the unfinished violin were found many years later by Roger Claridge, a violin maker in Oxford, who completed the violin. When Sam Sweeney bought it he found a tiny label inside what appeared to be a new violin. It said ‘Richard S Howard. Made in the Great War’. Sam’s father began researching – and pieced together the story of Richard Howard, and the violin. The show ‘Made in the Great War’ was one of the most magical and moving performances ever! And now, Sam, with the same violin, has made another CD in which he has collected and arranged traditional tunes popular at the time of the Great War, along with Regimental Marches – many basically folk dance tunes – used at the time, and arrangements for tunes composed by some of the Pipe Majors of that period. The resulting CD is beautiful! And the CD of ‘Made in the Great War’ is also available still and is a dramatic and poignant story told in music and song as well as words. Both are highly recommended, especially at this time of the centenary of the Armistice. 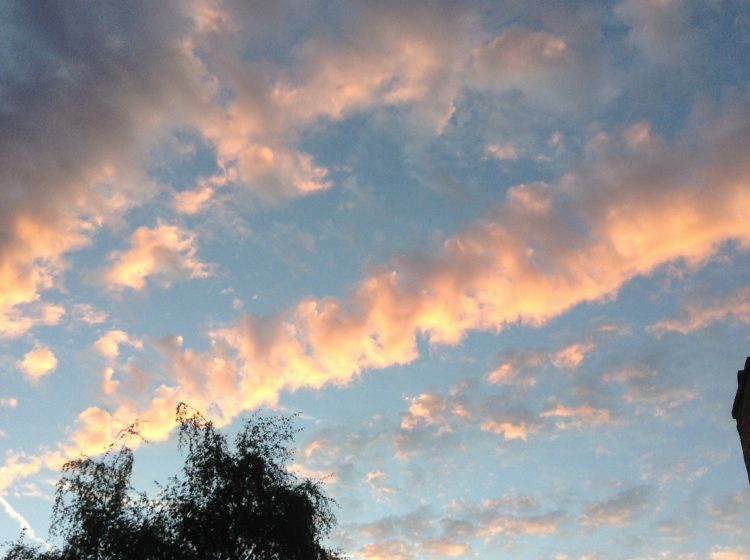 We’ve had some beautiful cloud patterns over the last few days – this was last Friday’s sunset.